A case against 27 University of Pretoria (TUKS) students, charged with violence which erupted at the university’s Hatfield and Groenkloof campuses late last week, was postponed to 7 April for further investigation. The state told the Pretoria Magistrate’s Court on Monday that all the five legal representatives – Timothy Ramabulana, Ralph Mokwala, Donald Sekwakweng, Mmatsela Motsepe and Michael Matlapeng – representing the 27 accused had agreed with the prosecution to adjourn the case to April. According to the state, the matter needed to be postponed so as to allow the prosecution to obtain certain video footage and still photographs. so that the matter could be finalised as soon as possible to allow his clients an opportunity to engage in matters affecting them directly, such as their continued education. Meanwhile, the lawyer representing accused 6-10, Sekwakweng questioned one of the bail conditions that “the suspects should not participate in any unlawful protest”. Sekwakweng said that if the accused were not allowed to participate in protests, that would be equivalent to denying them a right to participate in issues of ” national interest” and issues that affected them. However, the prosecution argued that the court could not allow the accused to participate in unlawful protests, which would mean they were allowed to participate in “unlawful activities”. The students were arrested when violence erupted at the university’s Hatfield and Groenkloof campuses on Thursday and Friday, during protests against the institution’s proposed language policy amendment. Academic activities at the two campuses were suspended on Friday following clashes between AfriForum Youth and Economic Freedom Fighters Student Command (EFFSC) members a day earlier. proposed amendments and want English to be used as the only medium of instruction in the institution’s academic activities. 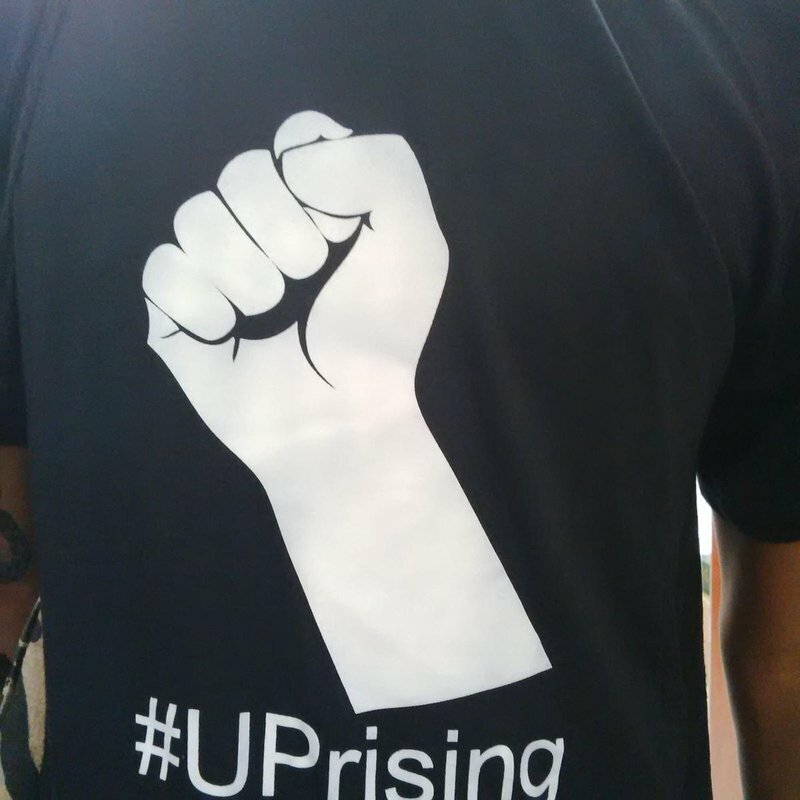 The Students Uprising Movement at TUKS (#UPrising) leader, Mthokozisi Lukhele, said the arrests would not intimidate them, but strengthen their cause to fight further until there was only one medium of instruction at the university. “The University of Pretoria students know very well that when they stand together and unite, we shall stand still. We still maintain that the university will have only one language of instruction, Afrikaans or Sepedi will not form part of tutorials. We want only one language of instruction which is English, we would not be at this position if the university management implemented last year’s students memorandum. “We maintain that we will fight a good fight and a black child will not be undermined again,” said Lukhele. The arrested TUKS students are facing charges of public violence, trespassing and malicious damage to property and were released on bail. The students declared Monday a #UPBlackMonday, with many wearing black as part of the black Monday protests, as they marched from the Hatfield campus to the Pretoria Magistrate’s Courts in support of the arrested students.